12 April 2018 Unlocked content from the archive. Like Alice through the looking glass, Dorothy in Oz and Wendy in Neverland, Kit Learmonth’s childhood was full of fantastical adventures: pirates, witches, fairies and battles with terrible monsters. But the untimely death of her parents stripped the magic from her island home and, a decade later, Kit is a broken shell, chafing under her family’s legacy, with gaping holes in her memory and an addiction to self-harm. After a failed suicide attempt she returns to the island, which has been transformed by her uncle into a sanatorium for damaged teenagers—the Lost Ones. Here, the line between fantasy and reality blurs: sleeping pills are goodnight kisses, anti-depressants are fairy dust, and the magic from her childhood comes creeping back, darker and more dangerous than ever before. As Kit begins to uncover the truth behind her unconventional upbringing and her parents’ death, she discovers that the only person who can fight your monsters is you. Margot McGovern’s debut novel is a dark and compelling examination of memory, self-determination and the dangers of romanticising the past. 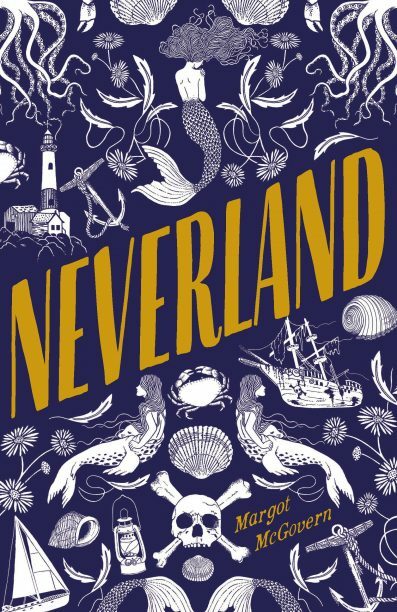 Neverland is a beautifully written book for older readers aged 15 and up who appreciate a story with complex characters, depth and grit.